Connecting with your mind, body & soul. My yoga journey began in 2010 after a snowboarding injury landed me in the hospital with a fractured spine. I discovered that when I used yoga as a method of physical therapy that it was not long before I began to feel a better connection with my mind, body, and soul. As a yoga instructor and Reiki healer with a Masters Degree in Counseling Psychology I specialize in working with individuals suffering from substance abuse, depression and anxiety. I have always set my intention to heal others by helping people find the courage to set their demons free and find unconditional self-love. October 19-21st, 2018. Laguna Beach, California. March 16th - 22nd, 2019. Marrakesh, Morocco. April 20th -26th, 2019. Costa Rica. Utilizing its unique and tranquil setting in the Nicoya Blue Zone, this tropical oasis is the perfect place to retreat for a week of yoga & meditation, delicious, healthy food, and endless discovery on the jungle lined coastline of Costa Rica. 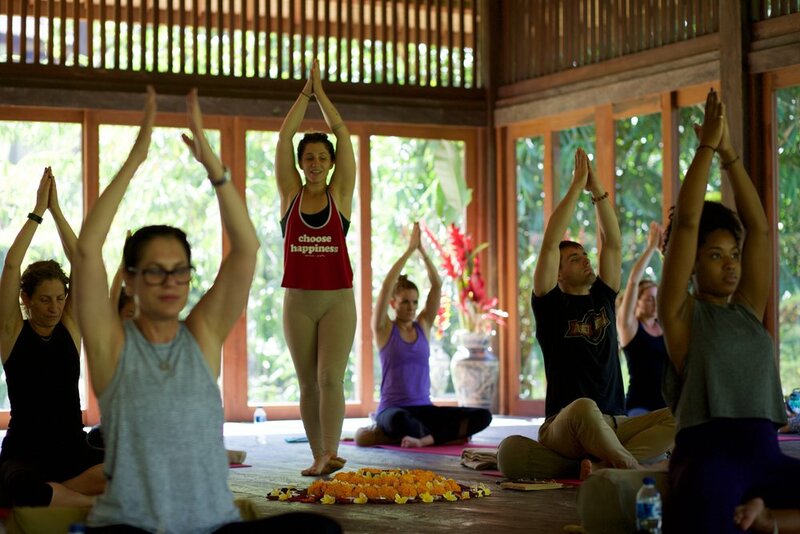 Bodhi Tree Resort is ranked one of the best yoga retreat centers in Costa Rica, offering you the space to relax and trust that all of your needs will be met. Your retreat hosts Naomi Zelin and Mary Tilson are passionate about bringing like-minded people together around the world to make meaningful connections and celebrate the simple joys in life. I specialize in a number of practices in yoga. Interested in a private lesson? Read on to discover which practice is for you and fill out the form for more information. Vinyasa Flow, likened to a dynamic dance, is a practice where postures or asanas are connected through the breath for a transformative and balancing effect. Classes builds heat, endurance, flexibility, strength. The creative sequencing found in a vinyasa class is often built around surya namaskar (sun salutations) . Vinyasa as a form is always evolving and classes weave together wisdom teachings, poetry and music that can inspire physical, energetic, mental, intuitive, and pure bliss states of consciousness. Previous yoga experience is necessary. Restorative yoga is a gentle, calming, therapeutic kind of yoga that uses props to support the body as it eases into relaxation and balance. Postures are held for three to ten minutes, great for anyone who is injured or recovering from injuries. No previous yoga experience needed. Therapeutic yoga is a holistic approach to healing by connecting the body, mind and spirit. Yoga therapy can help treat many common ailments including; depression, anxiety, trauma and substance abuse. Therapeutic yoga is for anyone of any age who is looking to make a change in their life, and requires no previous yoga experience. Yoga for better mental health and clarity is not your average yoga class, classes are gentle and nurturing but also challenge the practitioner to enhance their body awareness as well as the internal dialogue of the mind. This is achieved by restorative and relaxing yoga poses, meditation and breath work. Practitioners will come away with a new outlook on how to manage and reduce symptoms, restore inner balance, and mindfulness. t: +1 847 962 9993 e: Naomi.Zelin@gmail.com Naomi Zelin Yoga. 2018.